With its port in Rijeka, as an import-export center, Croatia is a central-European country, which, with its shape and developed transport infrastructure, means an optimal geopolitical connection among the western, eastern, northern and southern parts of Europe and allows the entry into a market of more than 650 million consumers. Thanks to these properties, five Pan-European transport corridors run through Croatia (Vb: Budapest-Zagreb-Varazdin-Rijeka, Vc: Budapest-Osijek-Sarajevo-Ploce, VII Danube, X: Salzburg-Villach-Ljubjana-Zagreb-Skopje-Thessaloniki, Xa: Graz-Maribor-Zagreb) which connects Europe with the Mediterranean countries, the countries of the Danube and of the Pannonian basin. Croatia has developed road, sea, railway and air connection with Europe and the world. The newly built high way network enables excellent connection inside the country, as well as with the bigger cities of the foreign region. Due to its situation in the heart of Southern-Europe and its coastline of 1777 km, Croatia is an extremely important area for the transit traffic of Europe. Along the Croatian coast, the wholesale import and export are possible through seven international ports of which the port of Rijeka is the biggest and the most important. 70% of the total shipping traffic is attributable to the port of Rijeka, and last year 6 000 000 tons of cargo were handled here. One reason for this is the fact that in Croatia, Rijeka is a road junction and center, and by railway, Rijeka is in connection with the important international railways, which travels through the whole country, among others, with Ljubjana, Budapest, Pécs, Belgrade. In addition, the air transport is an important means of transport for the travelers. In Croatia, there are seven international airports (Rijeka, Pula, Zagreb, Osijek, Zadar, split and Dubrovnik) with which Croatia connects to all big European destinations with a maximum 2-hour flight. In addition to the international airports, there are two national airports, Mali Lošinj and Brač, and the close proximity of Venice also offers more flying opportunities. Croatia has one of the most developed gas pipeline network in Europe, it has a high level of digitalization and overall internet coverage throughout the whole country. As the political leader of the region, Croatia is the full member of the NATO, and now it is the 28th member state of the EU. 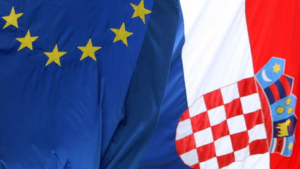 The Croatian laws have been harmonized with the fundamental EU legislation, allowing by this the high-level business activity and this way the possibility to use Union sources has also been opened. Croatia also signed the free trade agreement with the EU, CEFTA, EFTA countries and with Turkey, which allows the selling of products and services in the markets of 39 countries, notably with privileged customs duties. In Croatia, the foreign and national investors have the same rights, and due to the more than 50 agreements signed for avoiding double taxation, after the elimination of investments, the receipt of the capital in the country of residence is easily feasible. It is also important to mention the constant exchange rate of euro-Kuna with very low fluctuation. The EU citizens (legal and natural persons) can establish commercial companies, branch sites and representation in Croatia without any restrictions. A common type of the corporate forms is the limited liability company, which is called d.o.o. in Croatia. The creation of the company may take place for numerous reasons. An important aspect of the establishment of a company is the limited liability for loss and damages. That is why it is better to establish a new Ltd. / d.o.o., and not to create a branch site in abroad, because in the latter case, only this Croatian Ltd. is liable to the extent of its assets, while in case of a branch site, the foreign parent company is responsible for all the legal and other obligations of this Croatian company. On the other hand, the costs of establishing a company, and the costs of setting up a branch site are almost the same. The establishment and registering of a limited liability company is realized at the competent commercial court. The lowest amount of the share capital is 20 000 Kuna (about EUR 2 600.00), it may be paid in cash or it may be settled by depositing properties and rights. The company may use the share capital for the purpose of business financing. 7-15 days are necessary for the establishment, depending on the fact if the founder is a natural person or a legal entity. Documents needed for the establishment: the ID card or passport of the natural person, and in case of legal entities, the official translation of the company register extract certified by a notary. In any case, the founding member and the executive director must have the same personal identification number (OIB) in Croatia. The name of the company must be in Croatian, Latin, and Ancient Greek languages or in any official languages of the EU, and it cannot be in the commercial court register so far. The name and company cannot contain any other foreign words, if only there is no Croatian translation for it, or the company’s name is not the name of the founding / parent company. The registered office of the company may be registered for the address of the office, but another address may also be used, where a reliable person receives the mails of the company (e.g. accounting office). During the establishment of an Ltd, it is recommended to declare as many business activities as possible in order to be able to change the activities in the future, because the notarial and court fees are the same, irrespectively of the number of registered business activities. If the founding member wishes to have more business activities registered later, the fee is the same as if it was the amendment of the articles of association. After the registering into the company register, the business activity of the company will be classified and the company bank account will be opened. The share capital will be deposited on the bank account and the company starts its business activity. The founder and the executive director do not have to be present at the establishment, as the whole procedure may be executed with special assignments. Due to the amendments and complementary of 2012 on the corporate law, in Croatia, there is the possibility to set up a capital company with maximum three business activities, with three associate members and one director, which is simply called a limited liability company, or in short J.D.O.O. The share capital must be at least 10.00 Kuna, and the nominal value of shares must be at least 1.00 Kuna. The share capital and the share must be an integer amount (Kuna). If the J.D.O.O. reaches profit at the end of the year, then it must pay 1/4 of the profit into a legal reserve and increase this way the capital. If the share capital of the company has grown to 20 000.00 Kuna, then the simple limited liability company is transformed into a common limited liability company. In the simple limited liability company everyone has a voting right up to the extent of 1.00 Kuna nominal value of the share, until the share capital of the company increase to at least 20 000.00 Kuna. The complete notarial and court charges of setting up a J.D.O.O. is approximately € 100.00, and the establishment takes about 3-7 days. The purpose of this new form of capital company is to encourage the individuals to become entrepreneurs with minimal cost and own risk, as well as with the quickest establishment time and state aid from the beginnings. For foreign investors, this is an excellent opportunity to get to know the new market with minimal cost and risk.